Welcome to the Federation Role Playing Game! The Federation Role Playing Game is a creative writing game set in the Star Trek universe. New players take the roles of new graduates into the fleet, and participate in writing a series of collective stories with their shipmates. With over twenty years of a mythos already built up, and a clear, concise set of rules, the FRPG aims to be the premiére Trek writing sim on the Internet! 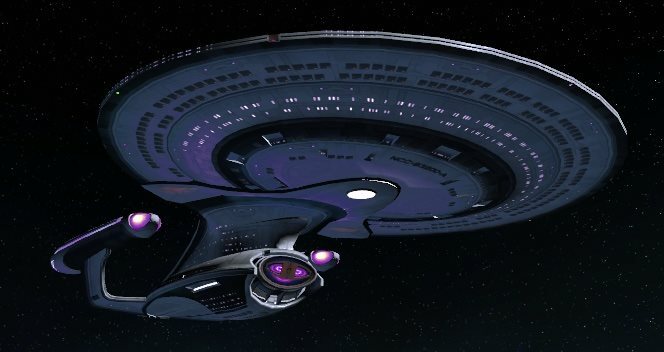 The Federation Role Playing Game is proudly affiliated with Star Trek: Distant Horizons. Be sure to visit their website by clicking on the banner below, and further explore the Star Trek universe that we share in. Kass Thytos re-entered the bridge in time to catch the Kane’s conversation with Eden and Malin-Argo already in progress. "Take out the Trolly "